Fashion Maven... Mommy: GIVEAWAY!!! Kerapure Keratin Blowout Extender! GIVEAWAY!!! Kerapure Keratin Blowout Extender! 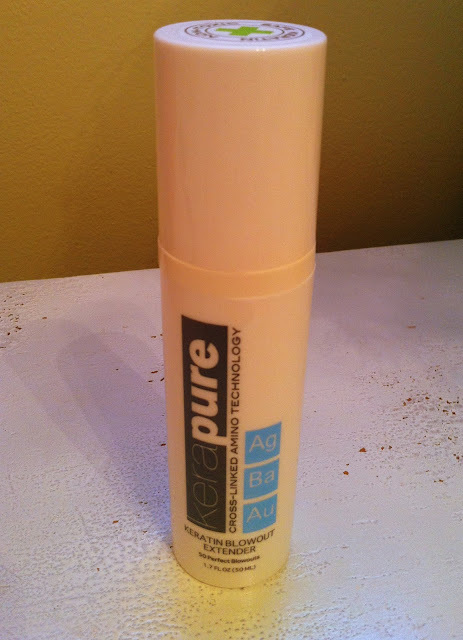 Sooooo did you like my post on the Kerapure Keratin Blowout Extender? How amazing were the before/after pics!!! Do you wish YOU could try this holy grail of beauty products? Well, enter to win your very own Kerapure Keratin Blowout Extender! My wonderful friends at Kerapure were generous enough to host this giveaway with me and I'm thrilled to have one very lucky winner try this amazing product! I wish you all GOOD LUCK! Now enter!!! (Open to US/Canada only). Yay! Done - until I realised it's only for US residents... sigh! Love you blog and thank you so much for the sweet comment and for checking out our blog! We would love to follow eachother and have entered the giveaway and followed you on everything!!! Did all the steps! I'll keep my fingers crossed, because I really really need it! I've got the frizziest hair ever, untill this for no product (and I've tried millions)has ever worked! Wow the results are amazing. Too bad the giveaway isn't open to Europe! Your hair looks amazing! So beautiful and sleek, I love it! This is definitely something I want to try. OMG! That straight hair looks perfect! Amazing giveaway! Totally entered and followed you! Your hair looks absolutely gorgeous! Hey FMM;)!! Just entered the giveaway! Oh and by the way you don't have to thank me for stopping by it's a pleasure because I like buying beauty products but never do the research so I've spent tons of money on crap I either didn't like or didn't need, your posts are always so detailed and most importantly interesting plus I like hearing about the twinadoes..lol I told my sister about that she fell out laughing. For straighter, shinier, frizz-free hair even in high humidity, lasting 3-4 months, costing only about $15 per treatment vs $300-400 in a salon, try Uncurly. Uncurly.com is the same Brazilian keratin straightener used in thousands of salons around the world made available for those who'd like to do it themselves. If you can wash, dry, and iron, you're overqualified. Love your blog and thank you so much for the comment and for checking out my blog. Your hair looks amazing! I love it! This is definitely something I want to try.